· Pre-session consultation, where we would discuss color schemes/themes, desired poses, parent and sibling wardrobe, and available products. 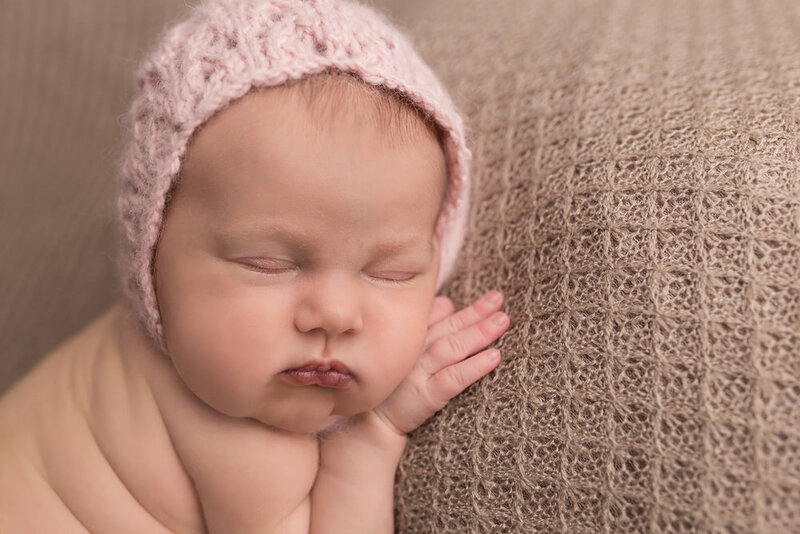 · 2+ hour photography session, including parent and sibling poses, posed newborn set-ups, and prop newborn set-ups. *You may add a 30 minute maternity mini session for an additional $75. · 1 hour photography session, including parent and sibling poses, and prop set-ups. Baby will be wrapped the entire session.